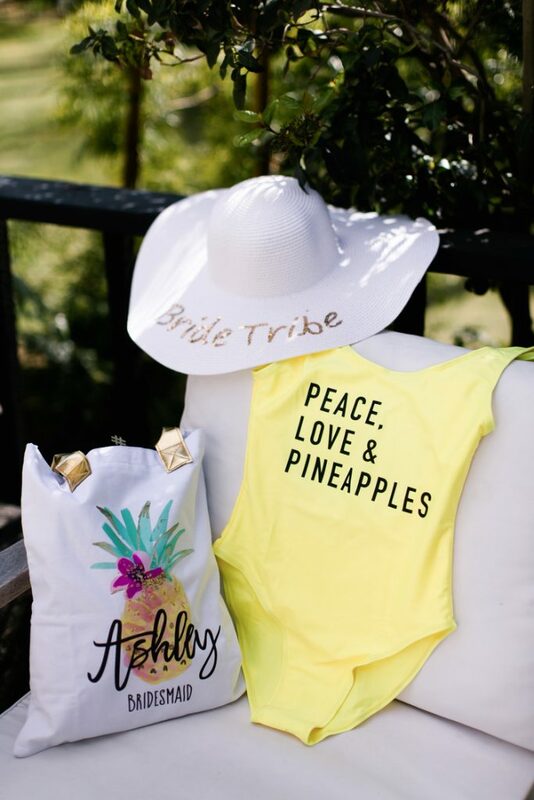 We all know that planning your dream destination wedding is hard work, and it takes a village… so why not reward your loyal bride tribe (and yourself!) 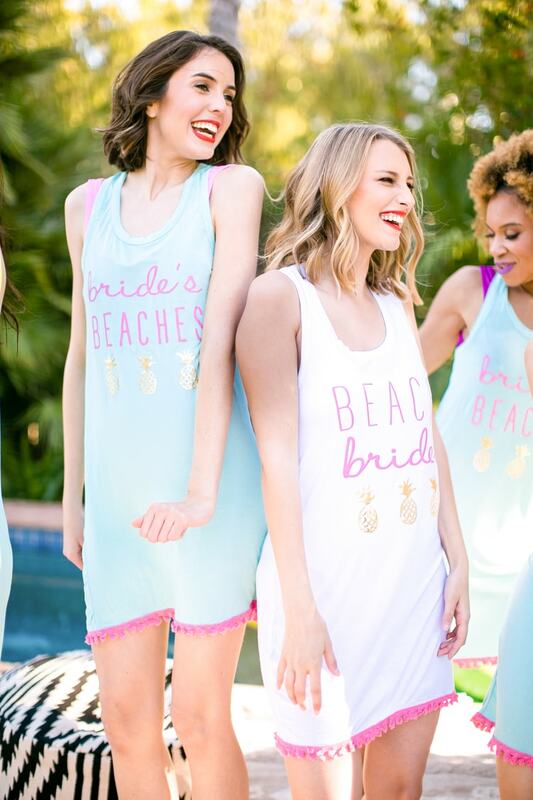 with a memorable bachelorette party weekend full of fun, sun, and relaxation before the big day? 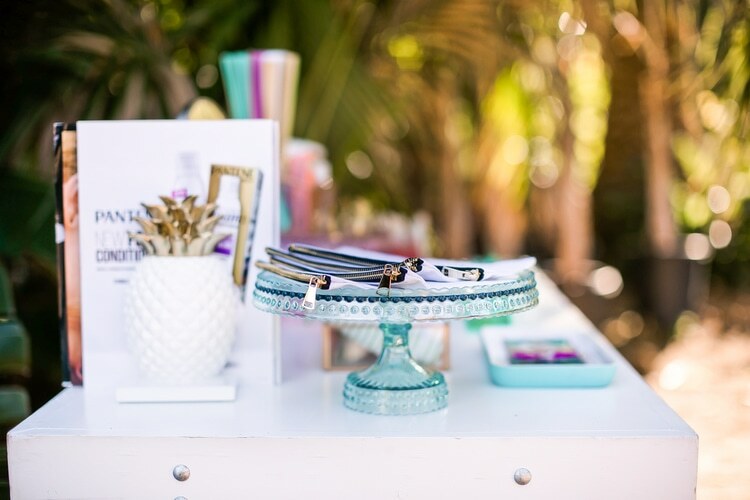 Whether your trusty MOH is planning this bridal bash, or you’ve taken the reins yourself… dealing with all of the different moving parts and details can get overwhelming quick! 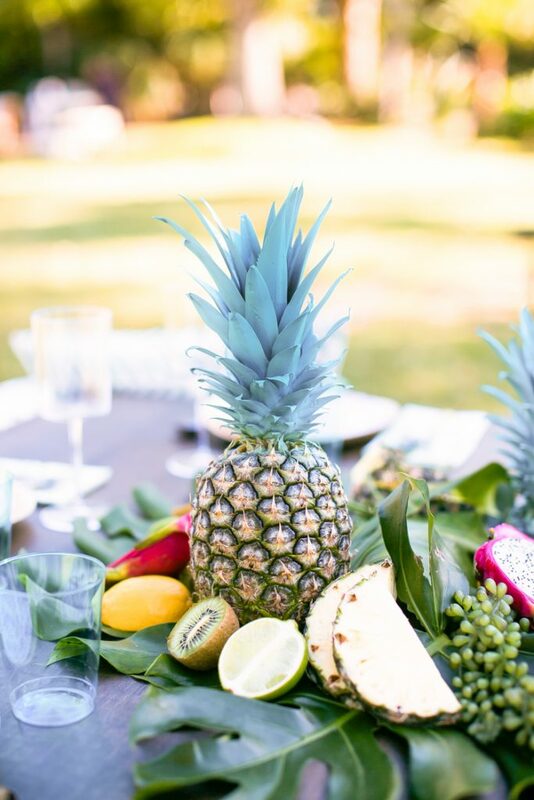 So, where to begin? 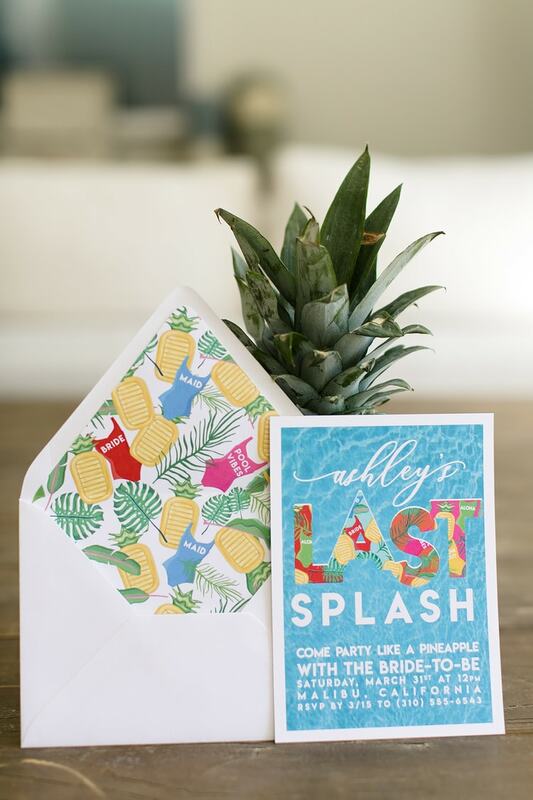 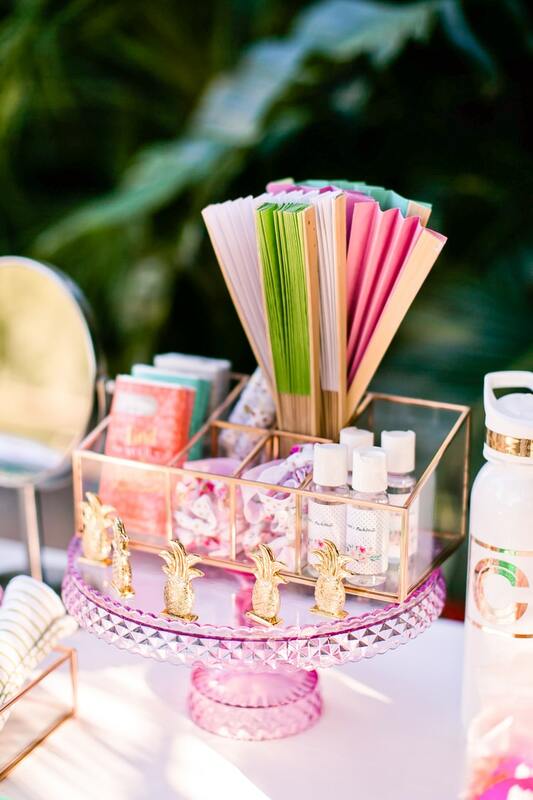 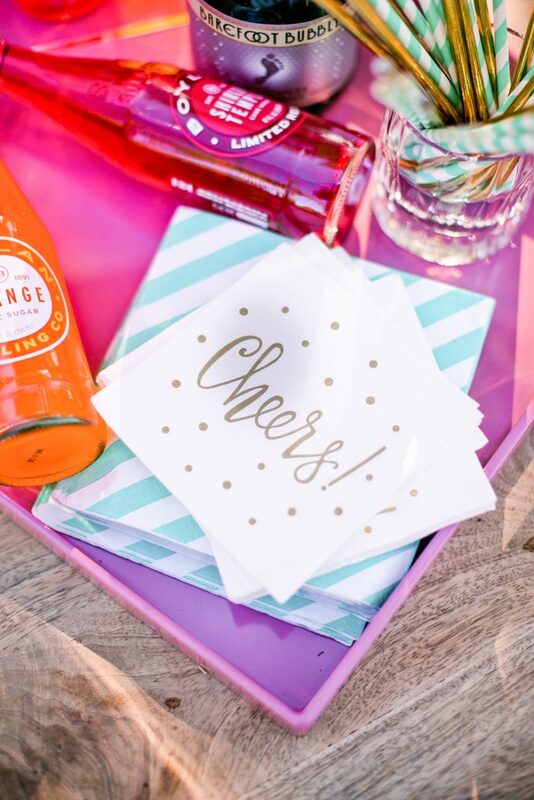 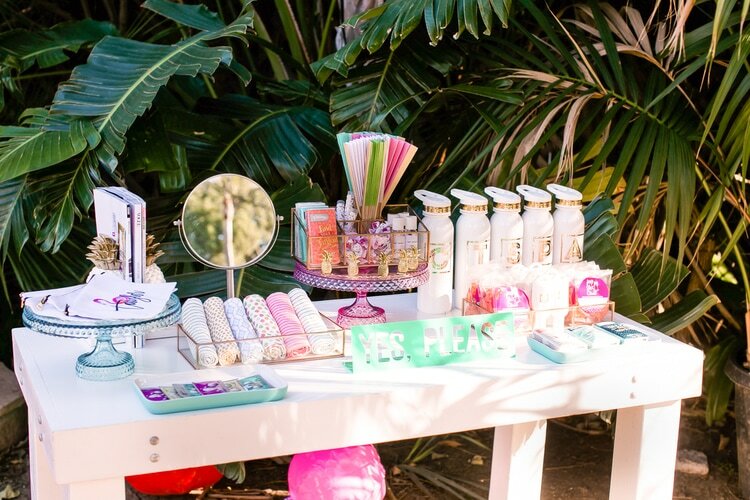 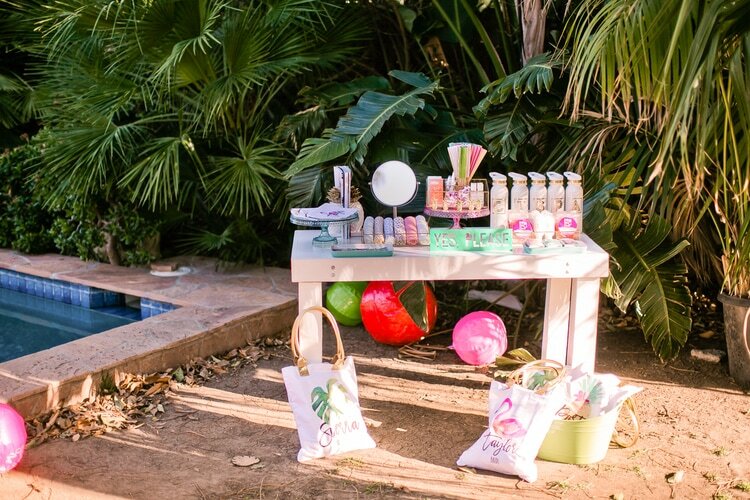 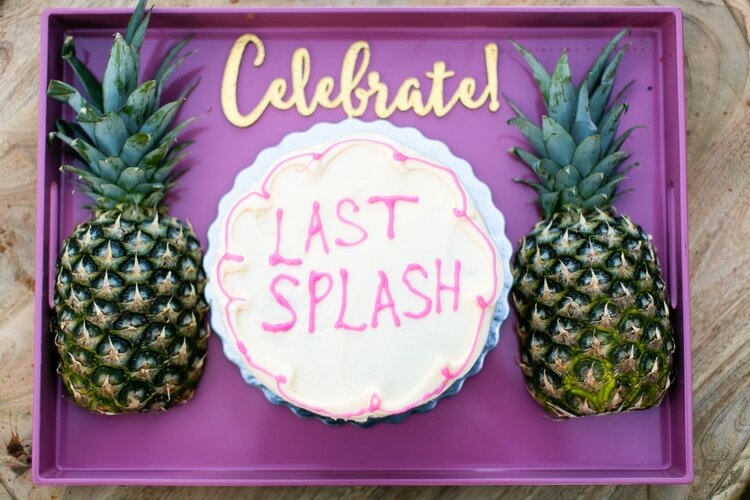 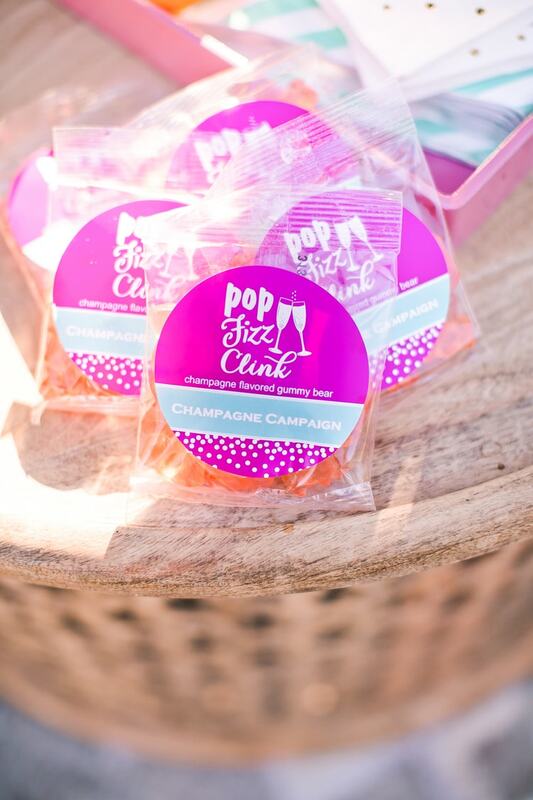 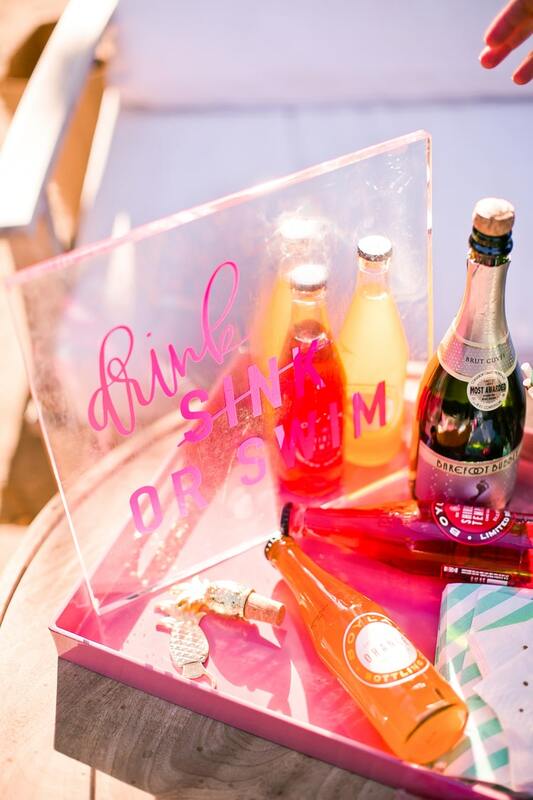 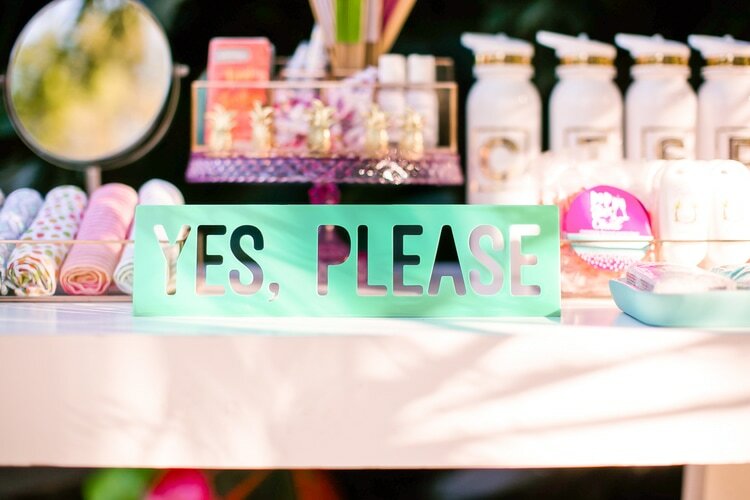 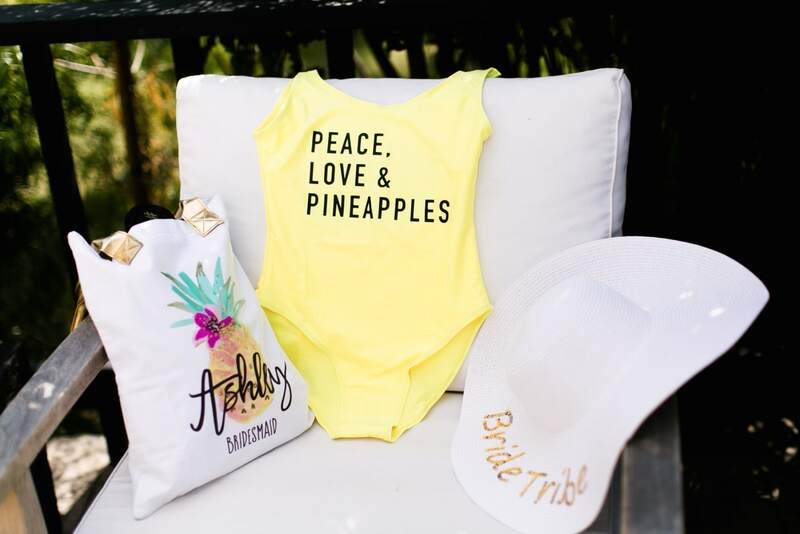 To help get your creative juices flowing, Love Inc teamed up with a talented group of vendors to produce the most insta-worthy and downright adorable pool themed bachelorette party. 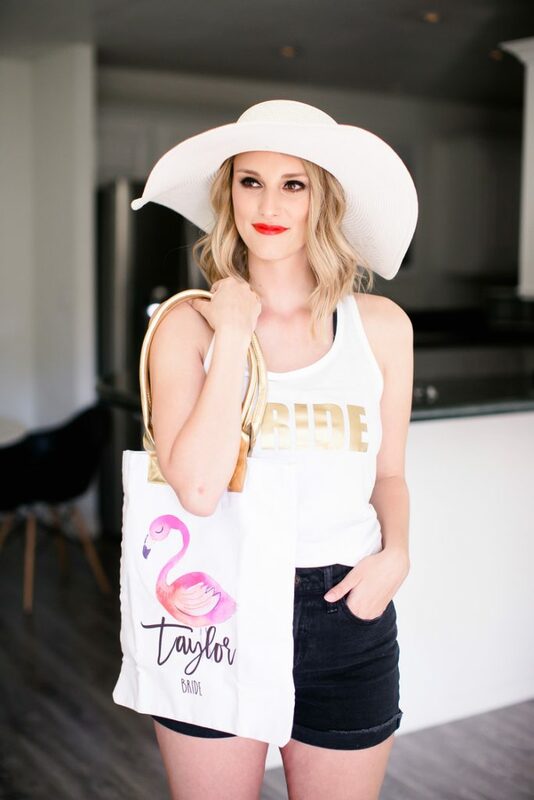 David’s Bridal – who already conquered the art of the bridal gown – is slaying in the accessories, décor and gift realm that makes up this perfectly curated bachelorette party. 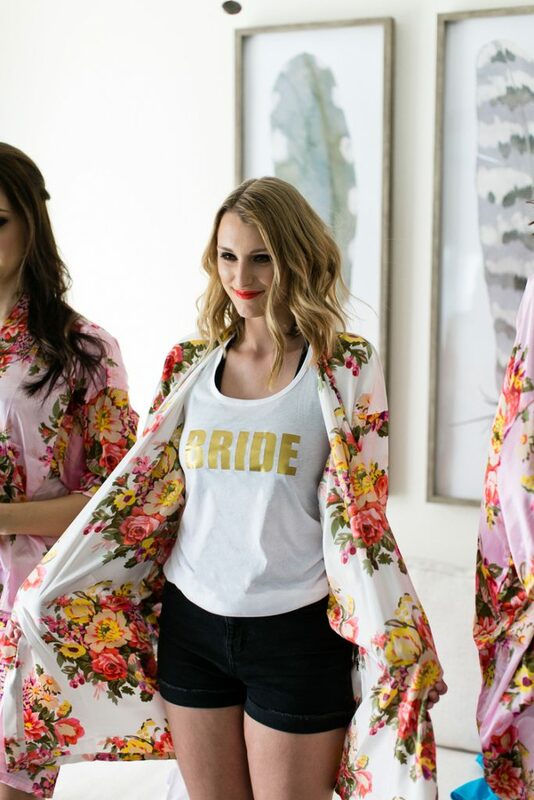 I know it’s a styled shoot, but I’m still feeling a twinge of FOMO somehow. 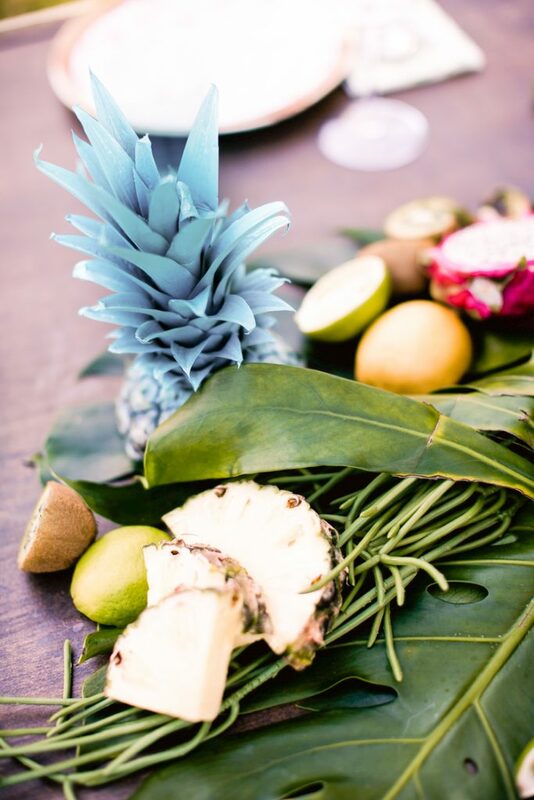 As a detail-enthusiast, I SO appreciated how much thought was put into every single detail. 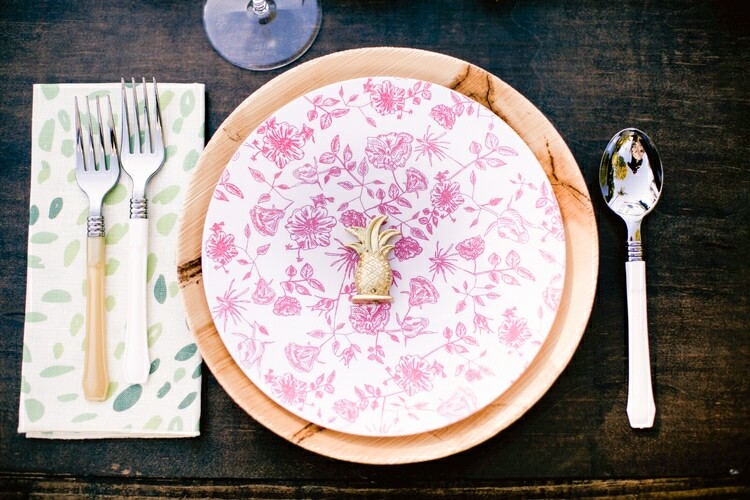 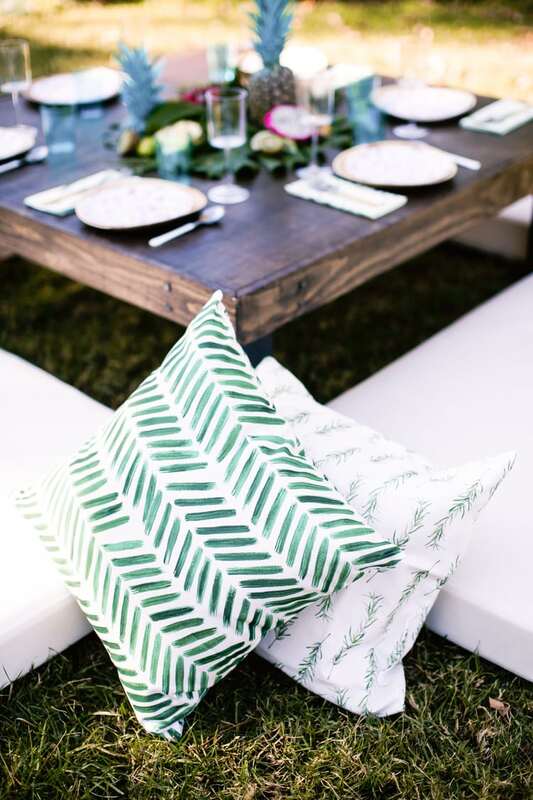 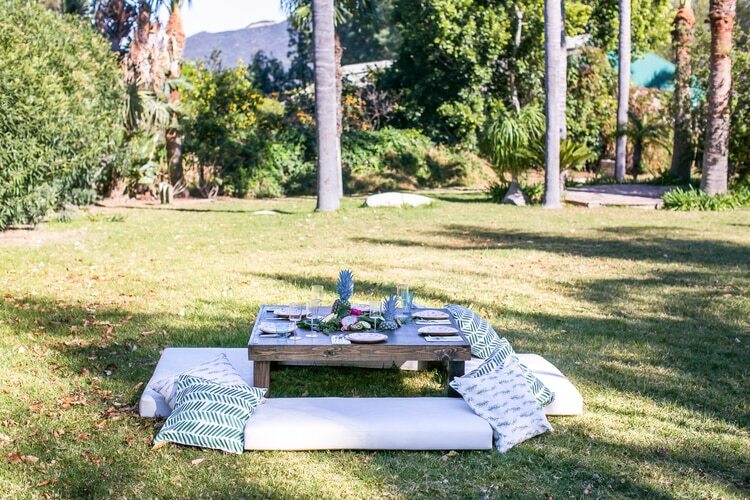 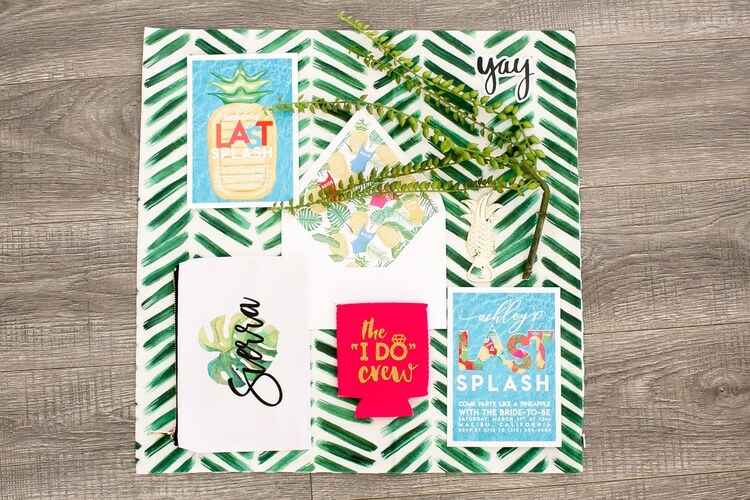 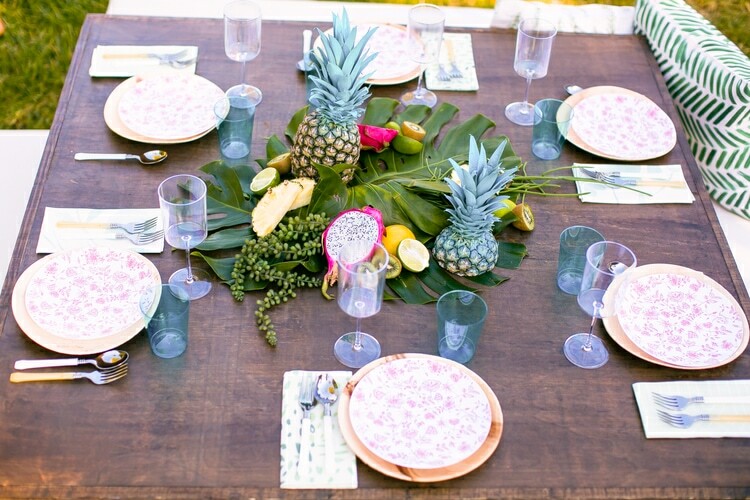 The décor was tropical, colorful and fun – bringing a cheery vibe that set the tone for a flawless and relaxed day. 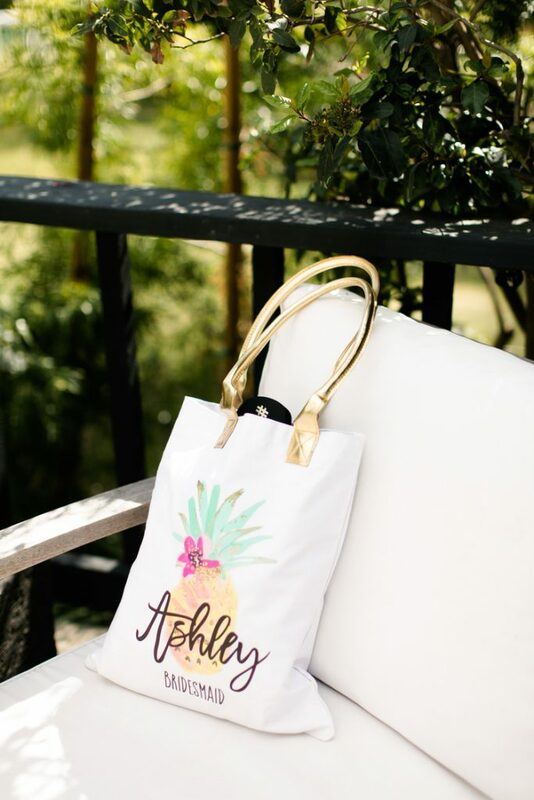 It started with the ladies decked out in personalized tank tops, sun hats and tote bags as they headed out for a picnic that was dubbed the “guilt-free zone”. 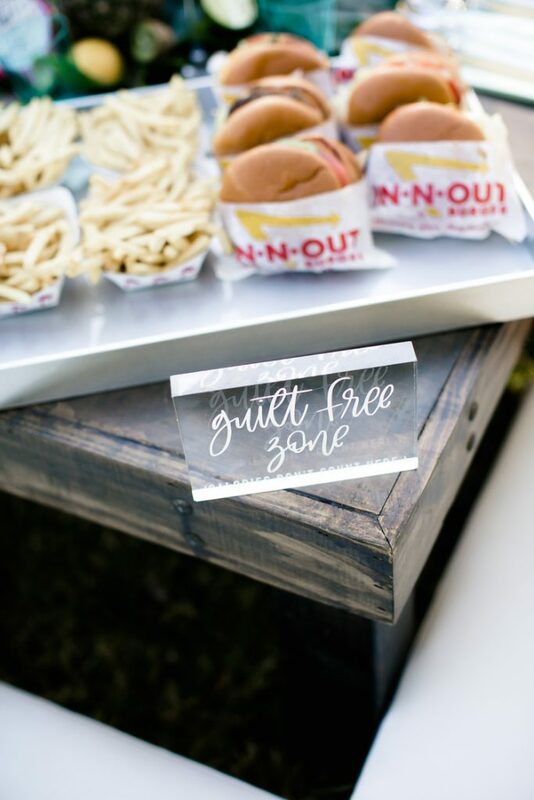 Oversized floor pillows, burgers, and champagne? 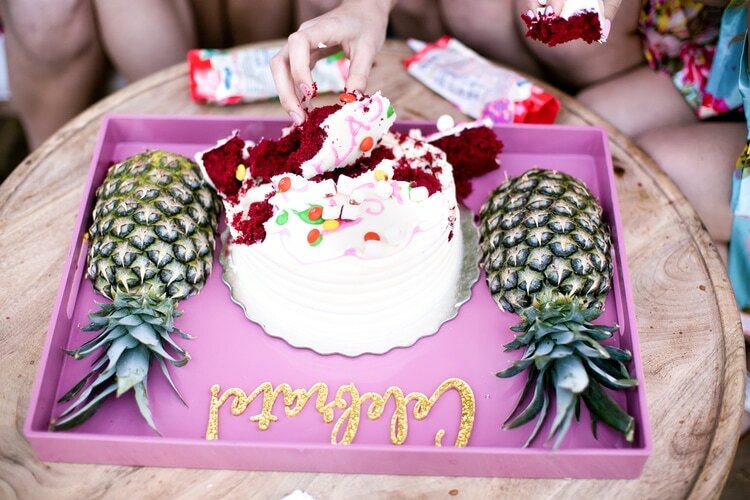 Now that’s my kinda party! 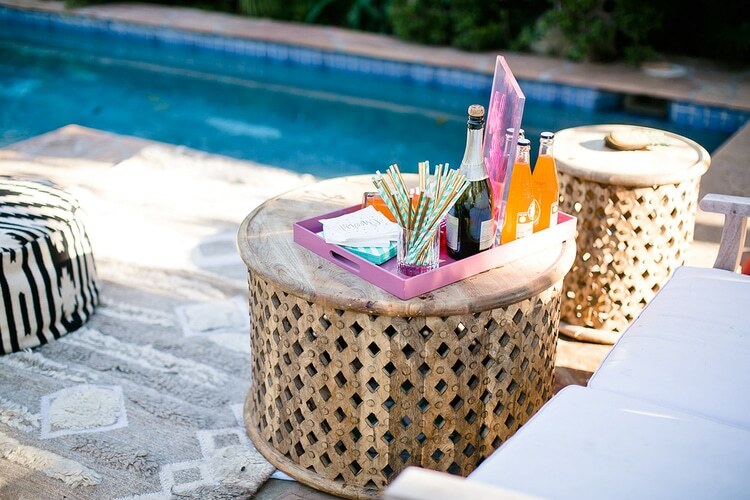 The ultimate chill-zone by the pool had different stations of fun-time necessities like you wouldn’t believe. 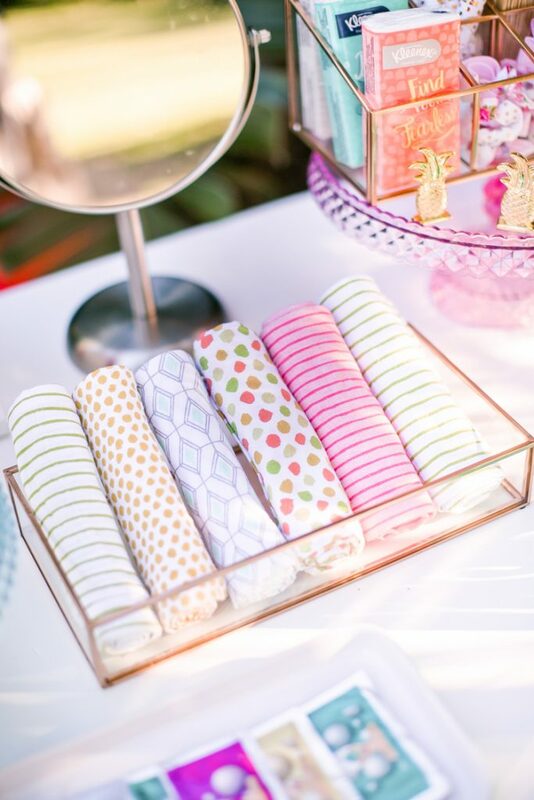 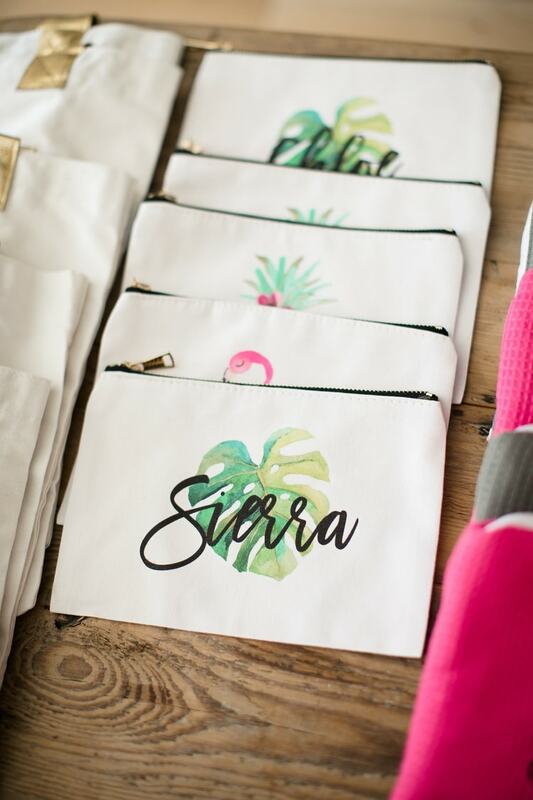 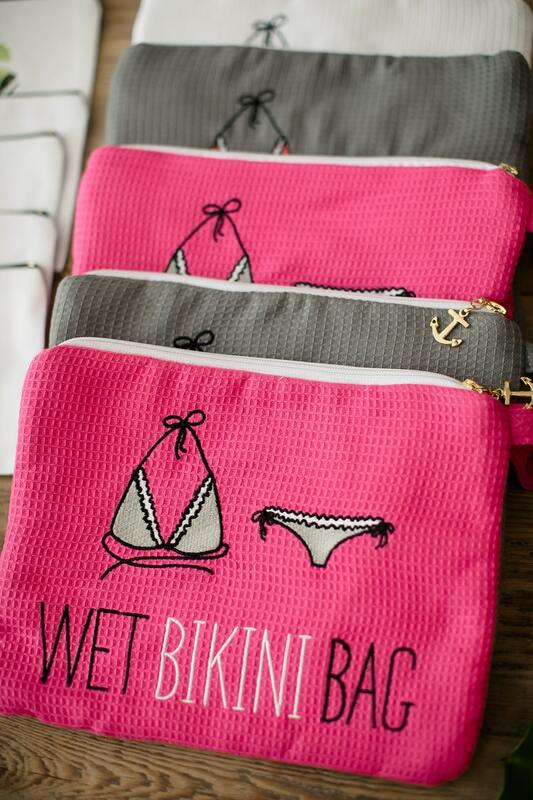 Everything from sunscreen and chapstick, to soda and champagne, sun hats and fans, magazines, personalized tumblers, and even a wet bikini bag to hold their suit while they slipped into something more comfortable –adorable “Bride’s Beaches” cover-ups to be exact. 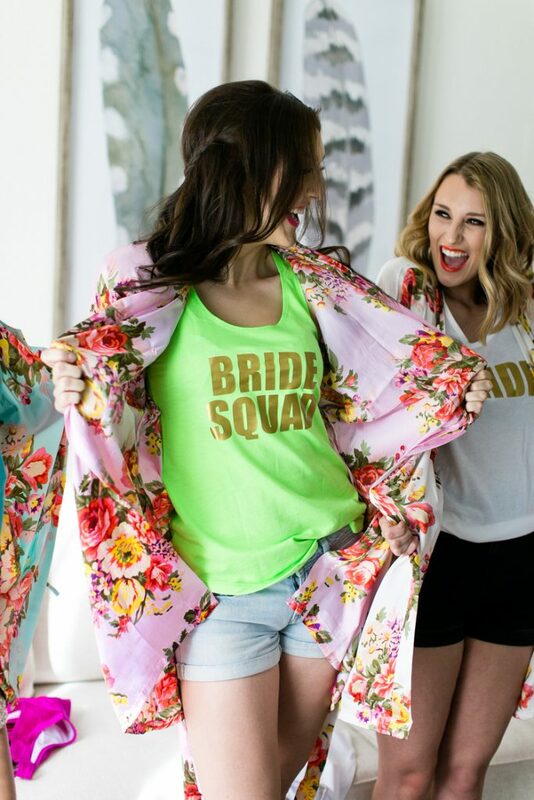 Of course, a good bachelorette party isn’t ALL R&R – because what’s a good party without some fun games? 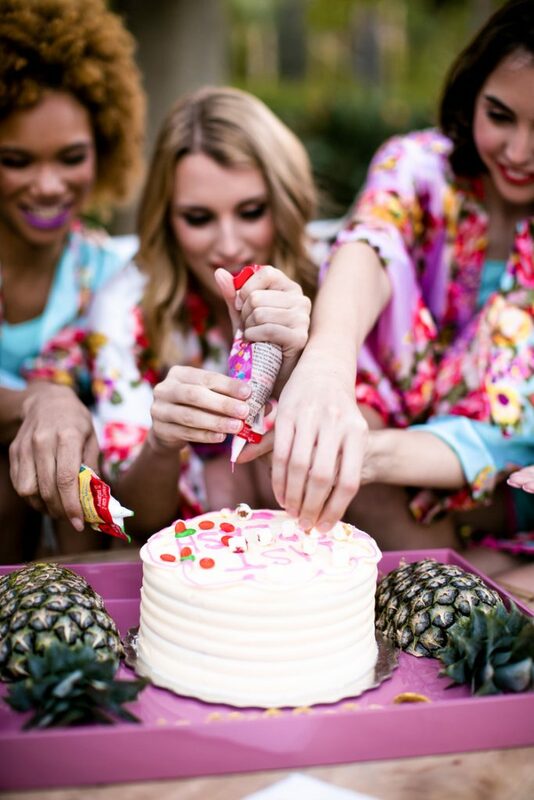 These ladies partook in a playful cake-decoration sesh, played with calligraphed beach balls, and had a hula-hoop contest. 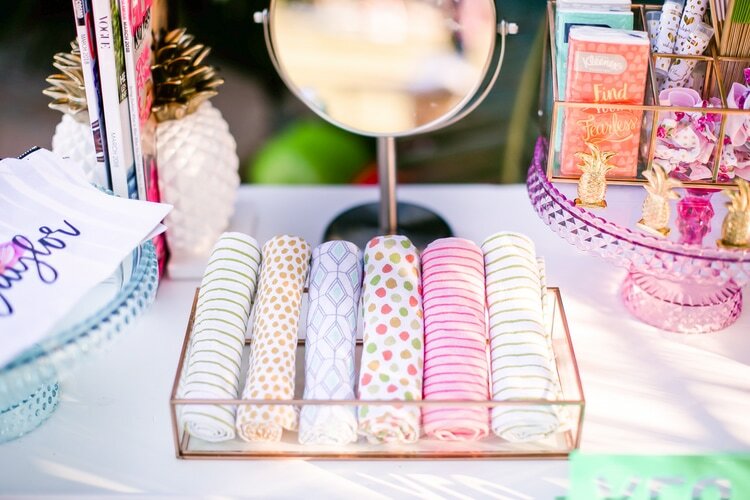 Lucky for us, Jacqueline Patton was on hand to capture all the fun. 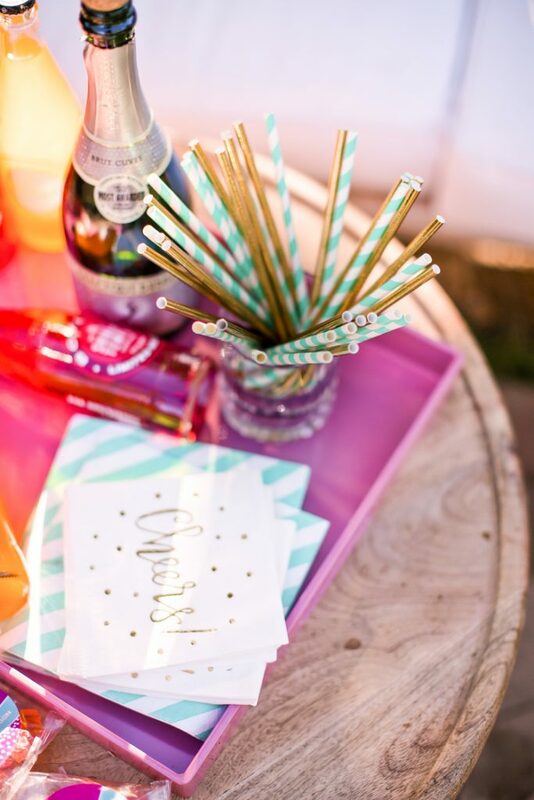 I hope you’re taking notes, party people… happy planning! 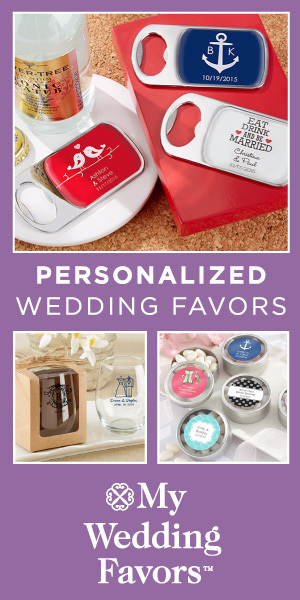 Disclosure: Compensation for this post was provided by David’s Bridal for Aisle Society. 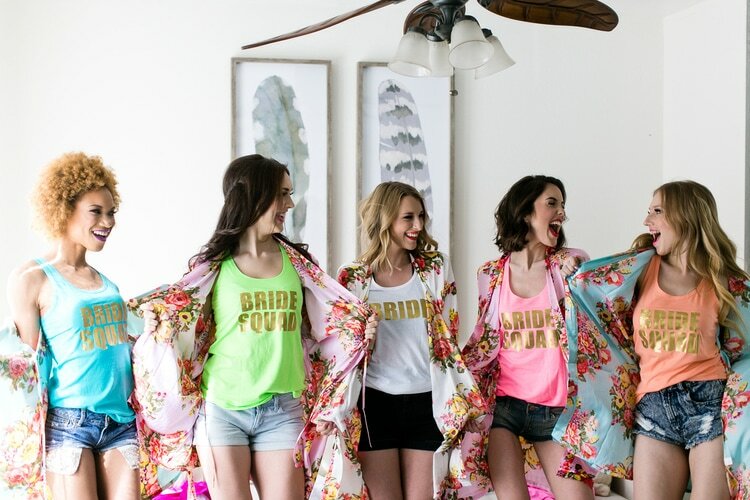 All opinions are the author’s own are not endorsed by David’s Bridal, Aisle Society, or their affiliates. 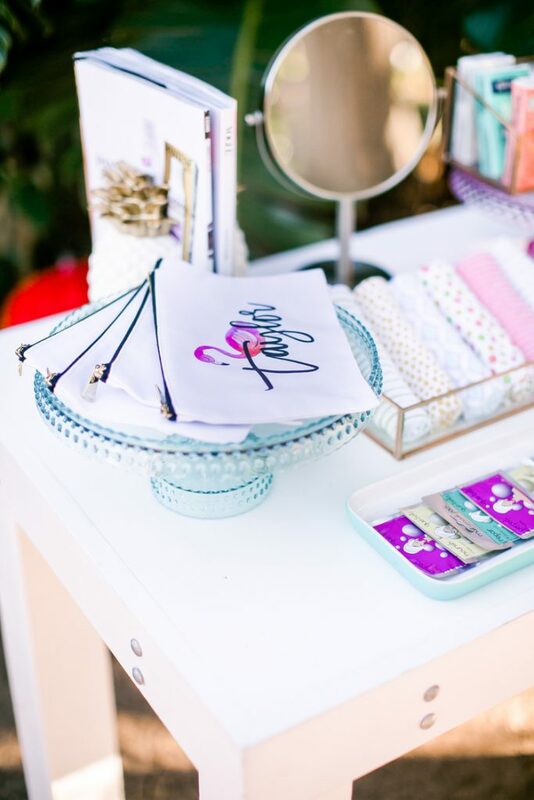 Production: Love Inc. for Aisle Society | Bachelorette Details, Gifts & Accessories: David’s Bridal | Swimsuits: DIY | Planning & Design: Roey Mizrahi Events | Photography: Jacqueline Patton Photography | Videography: Storytime Motions | Florals: XO Bloom | Calligraphy: Fawn Lettering | Stationery: Matinae Studio Design | Venue: Retreat Malibu | Beauty Concierge Service: Elwynn + Cass | Models: Taylor Rae, Elena Tretyakova, Brooke Lacey for Bella Agency LA, Heather Ruiz, Mandi Williams | Single-Use Tabletop: L’entramise | Rentals: La Piñata Party and Soiree8 | Waffle Desserts: The Dolly Llama | Floats: Big Mouth Inc.